Have seventeen years of experience in academics and research in the areas of information systems and computer science. Teaching methods/style: Interactive teaching using ICT tool(s). 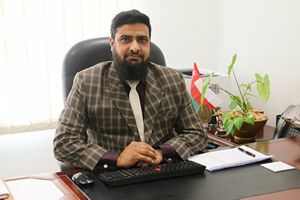 E-Government, Decision Support, Data Communications, Information System and development through Systems Analysis & Design, Database Systems, Object Oriented Programming, in the area of MIS & Computer Science. Projects/thesis supervised:Supervised many undergraduate final year projects. © 2019 Dhofar University. All rights reserved.